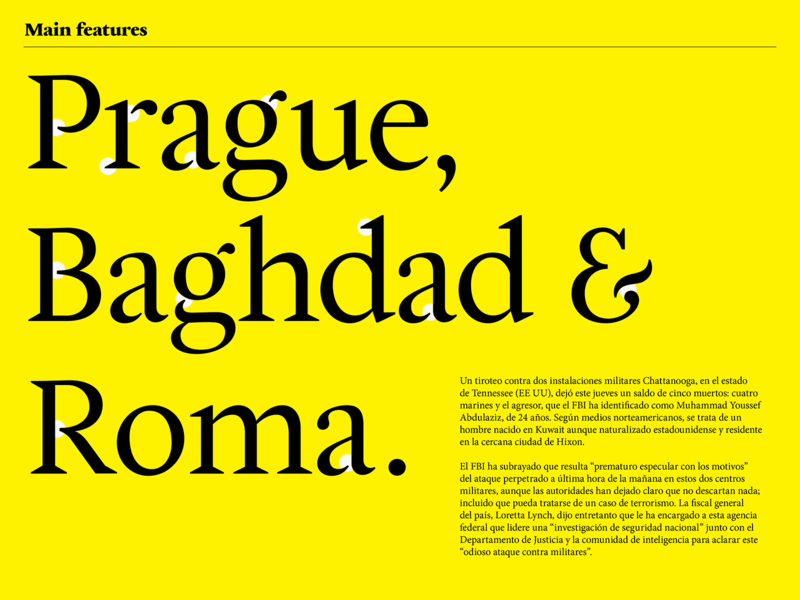 Belka is an elegant type family designed for editorial use. 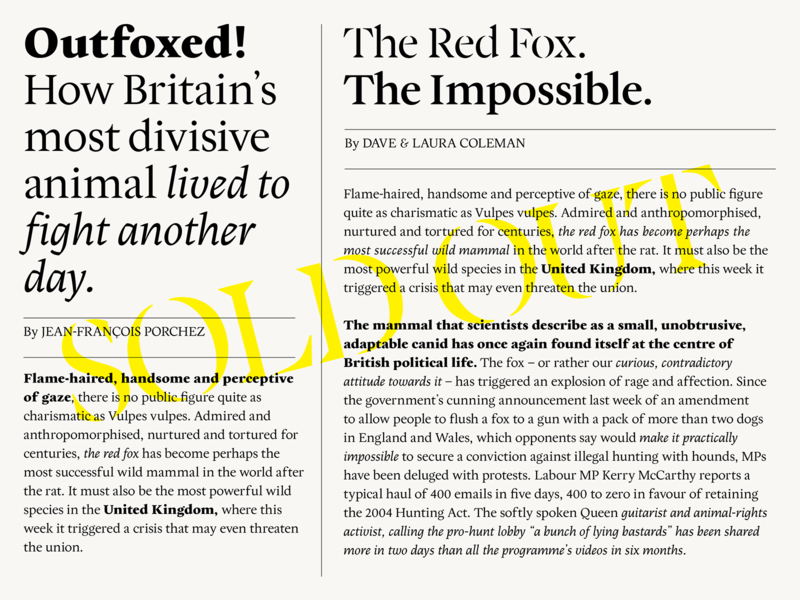 Based on the classic 18th century Caslon proportions, it is a contemporary redesign that is perfect for newspapers, magazines and digital media. Belka Regular & Belka Italic are neutral and will not distract the reader but the titling options like Belka Stencil or Belka Black have a very strong voice and, beside their main purpose, can also serve as design elements. Belka Stencil is a logical contribution to the family because the Regular has openings on lowercase a, r, g, k, and uppercase P, R, B, K, Q and Ampersand which gives these letters a somewhat stencilled look. 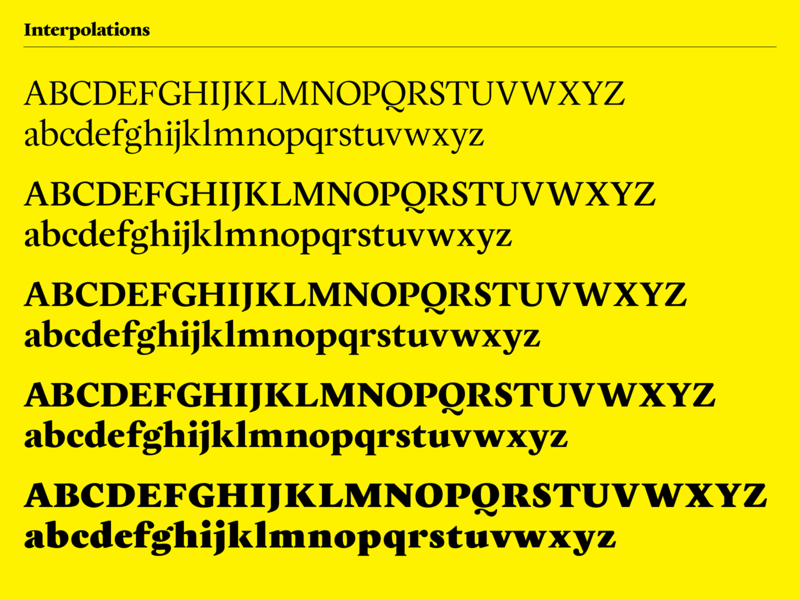 Belka Stencil features similar proportions to the regular but has higher contrast and more geometric feel. 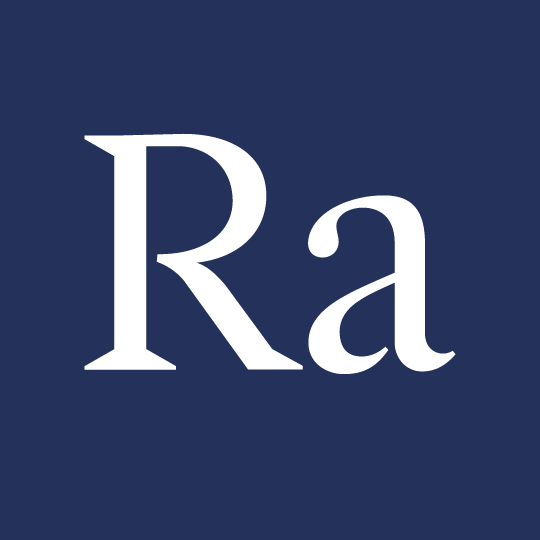 The serifs are larger and more triangular. Rounded terminals are a perfect circle. This link to pure geometry reinforces Belka’s contemporary look & feel. Belka Stencil is designed to be used in large, titling sizes only. 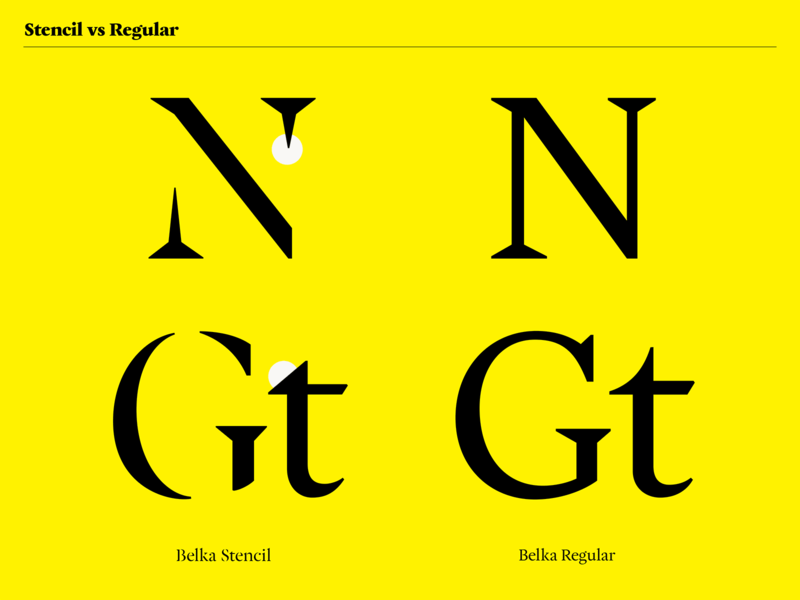 Belka Italic contributes to the visual richness of the family. It’s angularity and relatively small angle gives it a contemporary look and feel. The letter shapes are hugely inspired by the calligraphic model and thus contrast quite strongly with the Regular. My research and design process at Type@Paris was a path of thorns. Before the first sketches of Belka were born, I had spent 2.5 weeks designing 3 other typefaces that ended up being useless. Before having settled on my final model I had digitized my first calligraphy sketches, which were rather low contrast, then made a high-contrast version of them, and to make matters worse (or better…) designed something in between. Only after a severe but incredibly useful intervention from Henrik Kubel did I settle onto something that looks similar to Belka’s final designs. From that day the direction was set in stone and it took another 2.5 weeks of hard work to create the family. Start with Belka Regular and design a character set that includes ligatures, lining and non-ligning figures and basic punctuation. Then create Belka Black to be able to interpolate and get 3 additional weights – Semibold, Bold & Heavy. Design Belka Stencil and finally Belka Italic. I feel like the real strength of Belka family is its richness and how its different parts work together to create numerous design possibilities and give text layouts exciting textures for a broad variety of media.